In Japan, you’re not allowed to speak on your mobile phone in public and you’re asked to turn your ringtone to silent. And, despite Tokyo being 14 million strong, it doesn’t feel as overwhelming or overcrowded as you might expect. There is a huge respect for tradition and culture. 98% of the population is homogenous Japanese, even if increasing numbers of the younger generation are now travelling and working internationally before returning home to take up important bi-lingual roles. English is the dominant second language, and with a massive 35% of international guests to come from the UK to the Rugby World Cup, to be held for the first time in Asia in Japan, later this year, there’s an expectation that Japan will become more anglophile, and that more signage and street names will take on an English version too. A change of Emperor on 1st May 2019 is also deemed to mark the beginning of a new era. Another busy day in Tokyo with @APALondon for #promoteUK. The Japanese are disciplined, hard-working, and welcoming, within reason. There’s a protective layer of ‘Japanese first’, and business relationships are built on trust and take years to develop. Every Dentsu employee is challenged to climb Mount Fuji as part of their induction into the company ethos. When it comes to advertising, the big three have pretty much stitched up what is the third biggest advertising market in the world. Dentsu reigns supreme, with a +25% share of the market, and a stranglehold on media ownership and celebrity management. Up until now it has been in Dentsu’s interests to protect and maintain the television and print media, and for a Brit it is surprising to find that film rather than digital, and 15 second formats, still prevail in commercials production. With an HQ staff of 8,000 plus, 800 of whom are creative, Dentsu manages an extensive portfolio of Japanese brands, and leads on advertising rights to international events like the Rugby World Cup. Competing clients are serviced through a system of ‘chinese’ walls, with security passes restricting access between business units and floors. Because of Dentsu’s media and management dominance, clients in Japan are accustomed to paying commission on media and production fees, but have an expectation that the strategy and creative comes free. Second in line is Hakuhodo; famous for being the first agency in Japan to win a Cannes Grand Prix for its 1993 ‘Hungry?’ campaign for Nissin Cup Noodle. It is perceived to be the lead creative agency in Japan. Some way behind, there is ADK. But even ADK has over 1000 clients and makes 200 commercials a month on average. After some failed attempts at partnership, with Y&R and Publicis, Dentsu is now succeeding globally through Aegis. In addition, ADK has just forged a new relationship with Bain & Co, without restriction from WPP, who have had a shareholding of around 25%, with the express intent of investing in digital transformation. So there is change in the air. International agencies coming into Japan have found it difficult to break the stranglehold of the big three. Agency brands like BBH, Fallon, Saatchi & Saatchi, FCB have come and gone. Even AKQA and R/GA are reported to be finding it challenging. After 20 years in the Japanese market, Wieden & Kennedy is still only 85 strong, and the vast majority of its clients come from outside of Japan, led by Nike and Google. It also services Korea from its Tokyo office. Wieden & Kennedy peddles its international mission; creativity comes first, the supremacy of the idea and the work, not the egos of the creative directors. The concept of ‘fail harder’ is alien in the Japanese market. The agency admit it’s a difficult pitch, but they stand resolute. And perseverance is paying off. Ex agency employees are now working at client companies and they are developing their own unique ecosystem. Where they do resonate is in their quest to be part of culture. They are proud owners of their own gallery and put on up to 40 shows a year. Cultural sensitivity is a necessary prerequisite to being accepted in Japan, and as explained by ADK, creative teams take account of this, being three-strong; with, typically, an international art director, a Japanese copywriter, and a bi-lingual Japanese cultural translator. The top Japanese commercials directors are put on a pedestal. They don’t pitch, nor do they do treatments or story-boards. They are invited to participate and are taken on trust. There are no triple bids. Directors are not affiliated with production companies. They operate as freelancers and can work with any production company. Female representation is minimal. The Japan Mission was led by Steve Davies and his team at the APA, with production companies, animation studios, VFX and post-production and facilities houses all represented; including Riff Raff, The Mill, Great Guns, Partizan, MPC, Bang TV, Nexus Studios. Ably facilitated by top Japanese production company AOi rep Julie Thomas, they learnt how the system in Japan differs from what they are used to, whether working in the UK or internationally. The main barriers are language, distance, expense and taste. There isn’t an APA equivalent in Japan, and there aren’t any industry networking events to speak of. So it can seem impenetrable. 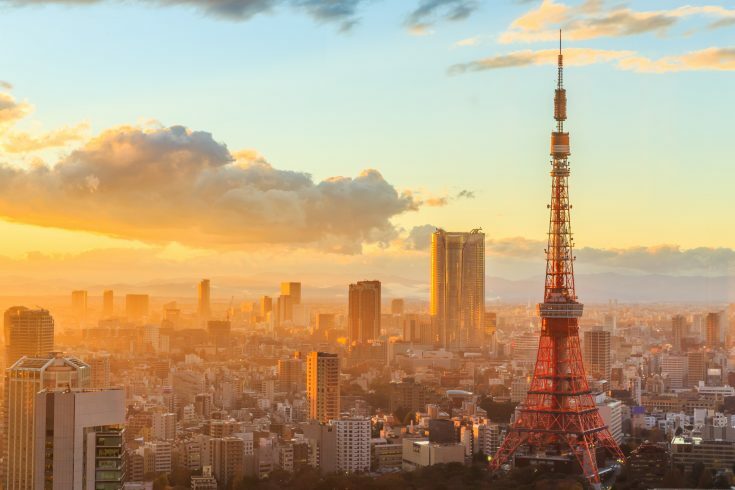 Advertising Week Asia has now launched in Japan, but it is co-owned by Dentsu. AdFest in Thailand and Spikes in Singapore are the next best thing for meeting Japanese creatives. 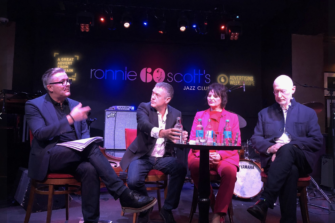 The way forward for UK companies is to market themselves to the in-house production companies of the major agencies, and to a couple of sizeable independents, and to work in their supply chain. To succeed in Japan will take stamina; regular communication, on the ground representation, bi-lingual (Japanese/English) staff and an authentic appreciation of Japanese culture. It will require a long-term commitment and is not for the faint hearted. 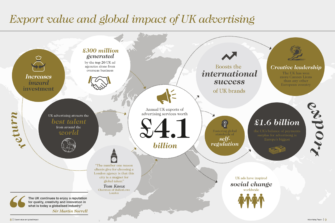 Nevertheless there is a huge appreciation of the quality of the UK’s advertising craft and creativity and a new understanding that the APA can act as a gateway to the UK market. There is no scarcity of opportunity either. Over 15,000 commercials are made a year in Japan, 60% through Dentsu, 20% through Hakuhodo, and 10% through ADK. If UK production companies can be accepted by any one of these three they could be in line for a steady stream of new work. And there are significant Japanese brands to go after: Like Seiko, Mistubishi (Nissan and Renault), Honda, Toyota and Lexus, Sony and Toshiba, which are already world famous; and new digital brands such as DeNA (like e-Bay), Rakuten (like Amazon) Docomo and Softbank (visionary in mobile).